Hello my dear patients and friends. No matter who you are, please do not feel despair due to your current conditions. You need to stay positive and be strong. I have posted some articles here on my website. I hope these articles can help you on your quest to a healthy and happy life. 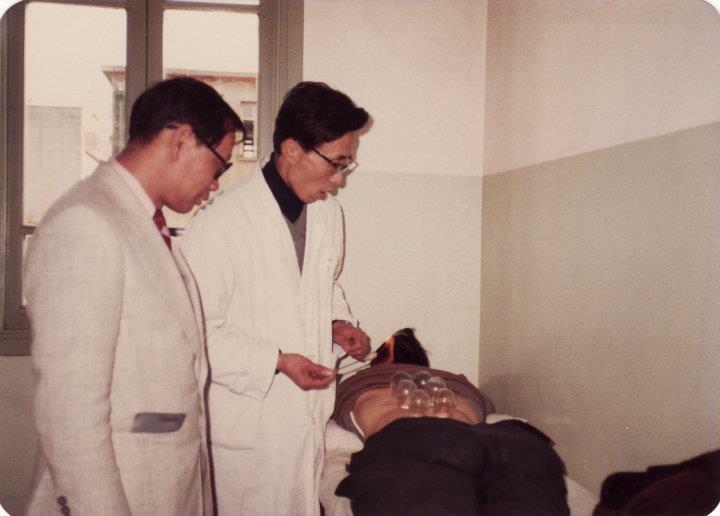 Chinese medicine is practised differently from the Western medicine because the medical concepts underlying it are based on a holistic approach to the treatment of the human body. For example, if one organ or meridian is malfunctioning it will give a series of symptoms. Therefore, treatment of the one organ or meridian will affect the whole, producing inner balance and an harmonious environment. This concept is also reffered to as the Yin & Yang balancing. This is the explanation of how one acupoint can be used to treat many symptoms cuased by different illnesses. It causes the endocrine response to perform homeostasis in the body which brings about positive results. ​Please be informed that our Chief Physician T.T. Ang will be out of town for outpatient services and conference during the following periods. Those who have treatment course arrangement with our physicians please avoid the above dates. Since our physicians are semi-retired, our clinical hours are Mondays, Wednesdays, Fridays, from 9 AM to 12 noon, and 4.30 PM – 5.30 PM. Urgent or chronic cases, may arrange for once a day or twice a day (once morning and once afternoon). Although we do not have clinical practise on Tuesdays and Thursdays, for overseas visiting patients, you may email us in advance to make arrangements. For more information or appointment booking, please call 6732 7907, 6734 5330 during office hours. We apologize for any inconvenience caused. The building is kind of old but I have been practising here for more than 30 years. There are a few hotels near by. Below are the hotel links on Agoda. Agoda is a hotel booking website that usually gives you better discount than your local travel agents. You can book immediately with a credit card and the confirmation will be email to you. Agoda can also help you arrange airport pickup with the hotel.